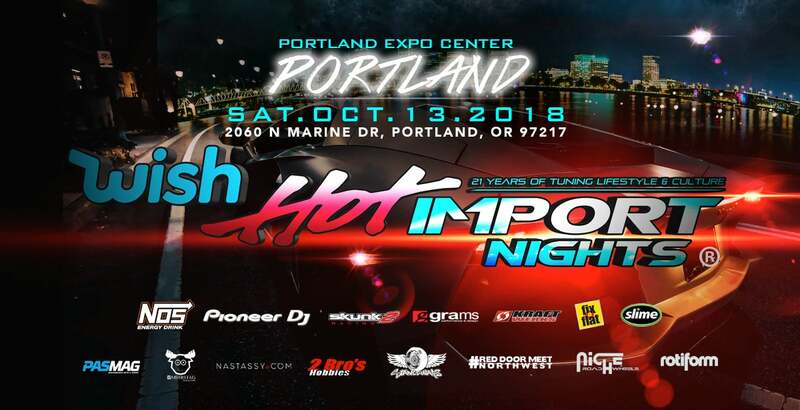 HIN is a unique nationwide automotive festival taking place at the Portland Expo Center, Saturday October 13, 2018. The HIN experience will feature a world recognized car competition showcasing hundreds of customized vehicles, Top Car Crews and Teams, Pioneer DJ Main Stage w/ Headliner DJ Talent, Wish HOT 100 Car Competition, Featured Industry Models in the Model Lounge, Miss HIN Model Competition, Auto Aftermarket Exhibitors, Merchandise Stands, Entertainment Zones, Concessions, plus tons of event attractions. HIN makes way back to the Pacific Northwest!